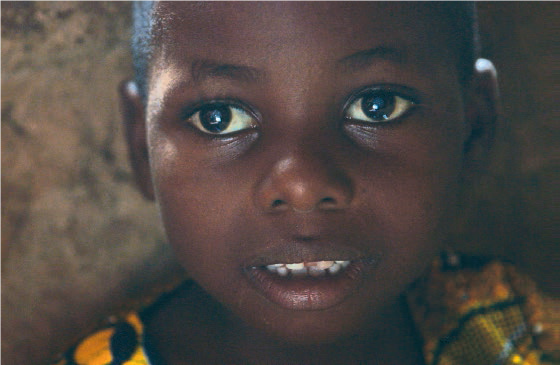 This Christmas, children like Sesan are needlessly living in a world without colour or light. Cataracts have left Sesan needlessly blind, struggling to play, learn or explore the world. Please help restore sight and colour for a child living in poverty this Christmas. could cover the cost of transport to hospital and medical care for a child needing life-changing surgery. could pay for vital medical supplies needed for cataract surgery to help a child see. 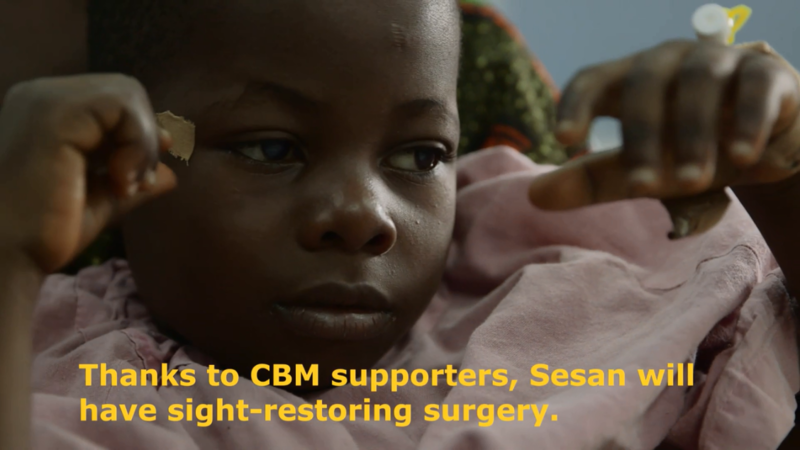 could pay for a child like Sesan to have cataract removal surgery, enabling them to see. Five-year-old Sesan lives in Nigeria, West Africa. At home, he totters around his hut with his treasured plastic ball. But he struggles to join in his brothers’ games. Sesan can’t see the ball and often falls. And away from home, even when his father is gently leading him by the hand, he quickly panics. Tears stream down his face in confusion and fear. This Christmas, could you restore sight for a child like Sesan, bringing colour to their world? 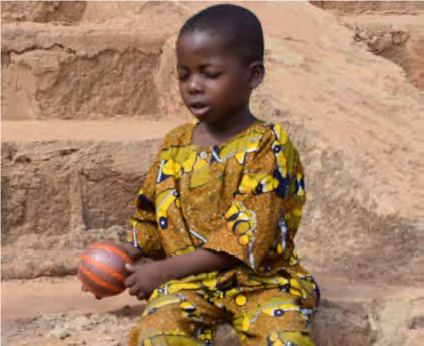 Sesan is unable to play football with his friends because he cannot see the ball. Removing cataracts from a child’s eye is a relatively simple procedure and takes less than an hour. But for Sesan’s parents, the cost of an operation is far beyond their means. Noah, Sesan’s father, farms a small plot of land which is “just enough to feed the family.” Their home is very basic and has no water or electricity. No child should go blind, just because they are poor. “I have been praying and I believe God will intervene in his life. I believe that God will send us a helper who will help with his eye problem”, she says. This Christmas, you can be the answer to the prayers of parents around the world who are gazing into their child’s sightless eyes. For children like Sesan, it’s not too late, but we need to act now, so that young eyes have the chance to heal and develop. “It’s hard to imagine Christmas without colour, particularly for a child. As a grandfather, I love to see my grandchildren enjoying the bright colours of the tinsel, the sparkling lights, colourful wrapping paper – all part of the joyous celebration of Christ’s birth…. That’s why I am proud to be supporting Christian Blind Mission with their campaign to improve access to cataract surgery in the world’s poorest places, so children can see and enjoy the colours of Christmas. 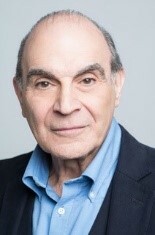 I hope you will join me and help give the precious gift of sight.” David Suchet, actor. Read full quote here. Thanks to the prayers and support from people like you, Sesan is undergoing sight-saving surgery. Will this operation change his life forever and open up a world of colour? Thanks to your support, Sesan will be able to experience the miraculous colours of the world this Christmas – and for the rest of his life.